Costumed crimefighter Empowered, delighted by her long-delayed promotion to full-time membership in the Superhomeys, enjoys a suprasocial-media "victory lap." But will her newfound satisfaction survive the challenges of obnoxious "white knights," disturbing cryoprison visits, alarming alien medical scans and--worst of all--the revelation of a lover's dark secret? 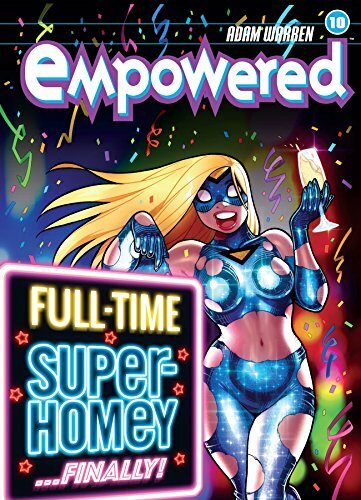 * Over 250,000 copies sold of Empowered volumes!